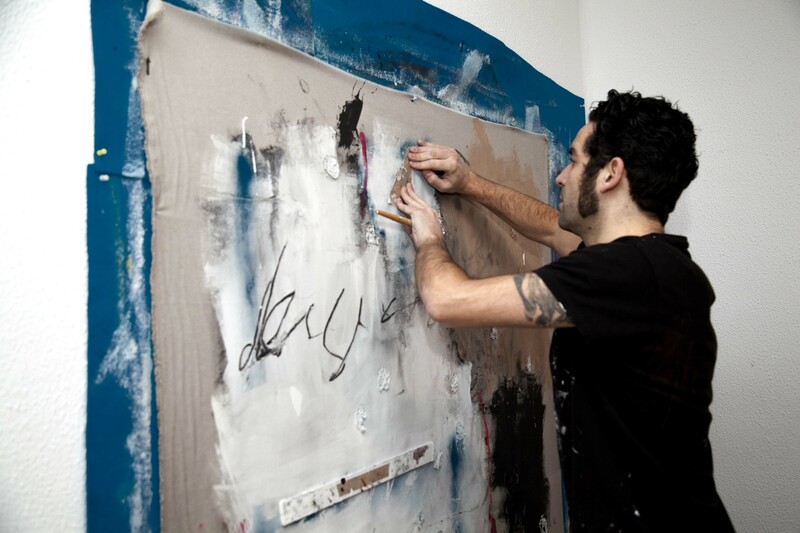 Spanish artist Juan Luis Fernandez defines his creative process as being based on three key elements: the exploration of the subconscious, improvisation, and serendipity. Inspired by Basquiat and Antoni Tapies, he finds beauty in the cracked walls of a facade, the ruins of a building and in a simple painted line. A former graphic designer who studied Art History at the University of Oviedo in Spain, Fernandez paints onto unstretched canvases, sometimes directly on the floor. 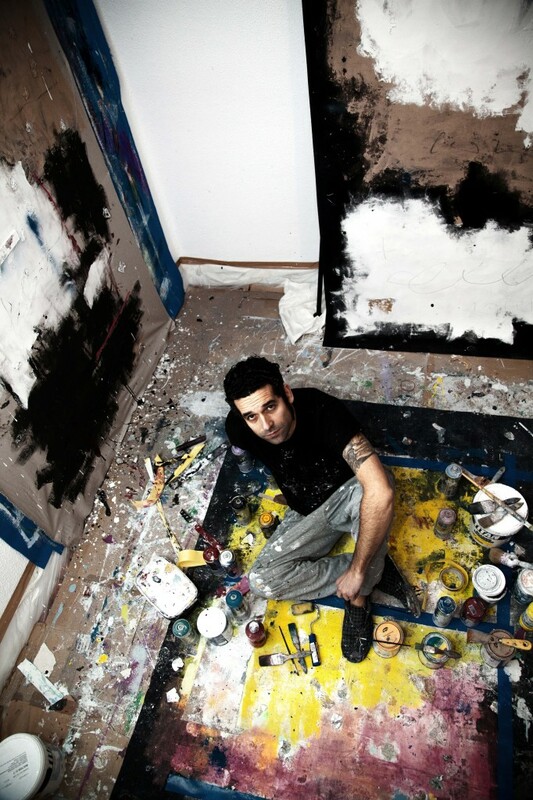 His work is quickly attracting the attention of art lovers and collectors in Spain and beyond. The artist working in his studio.